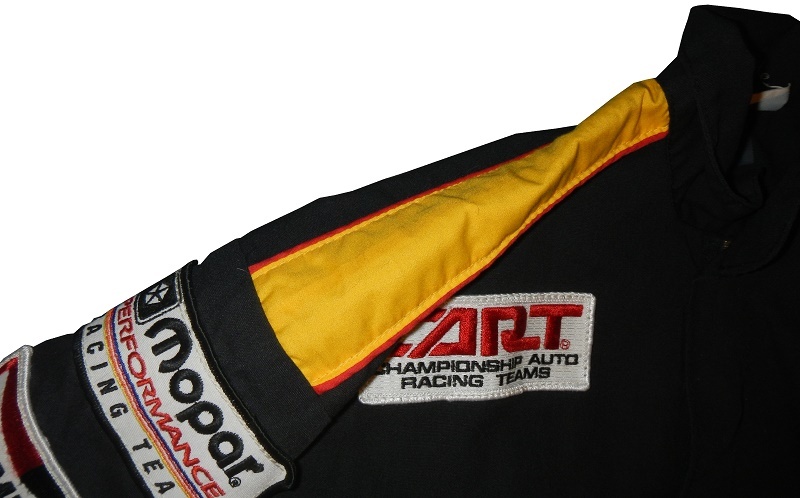 While racing suit design for promotional appeal is a new concept in marketing, mechanics in auto racing have been around since day one. Mechanics make the cars run, and keep them running. They have to work on cars and wear special clothes, as the fluids in the car can ruin most street clothes. 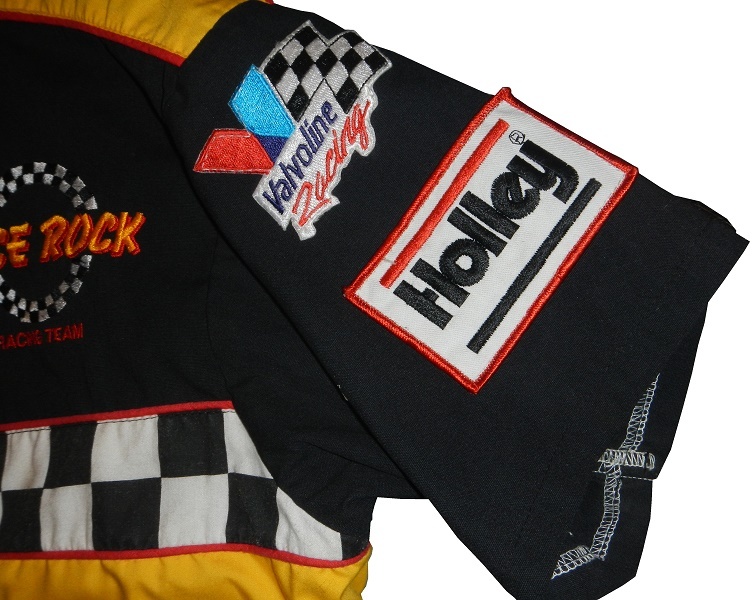 This Race Rock Racing team suit is a perfect example of the fusion of both. 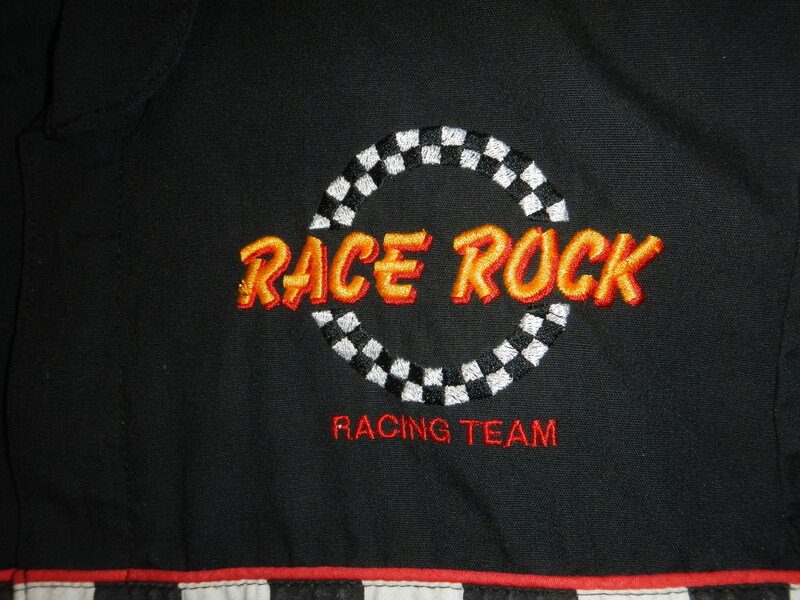 As much as I have searched, I haven’t been able to find any information on Race Rock as an auto racing team. However, they were apparently a racing team. This suit was a mechanics suit designed for them. 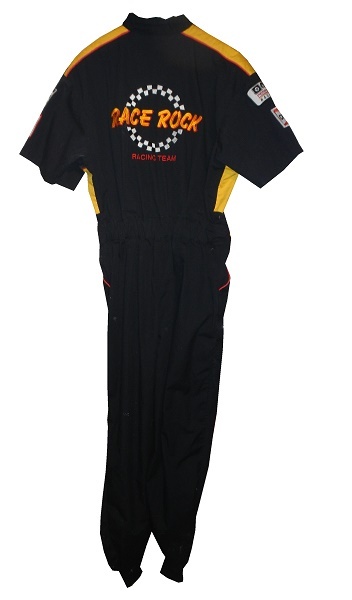 The suit is made from Jupiter, Florida based RJ’s Racing Equipment. 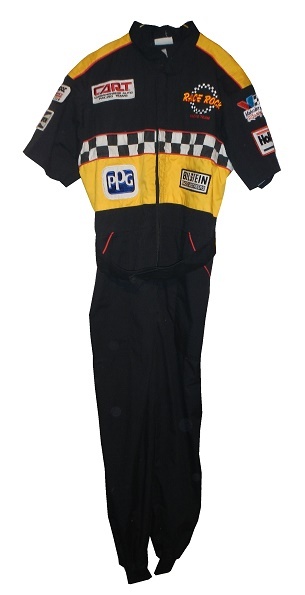 It feels like it’s a single layer of Nomex, but could also be polyester. It isn’t SFI certified. 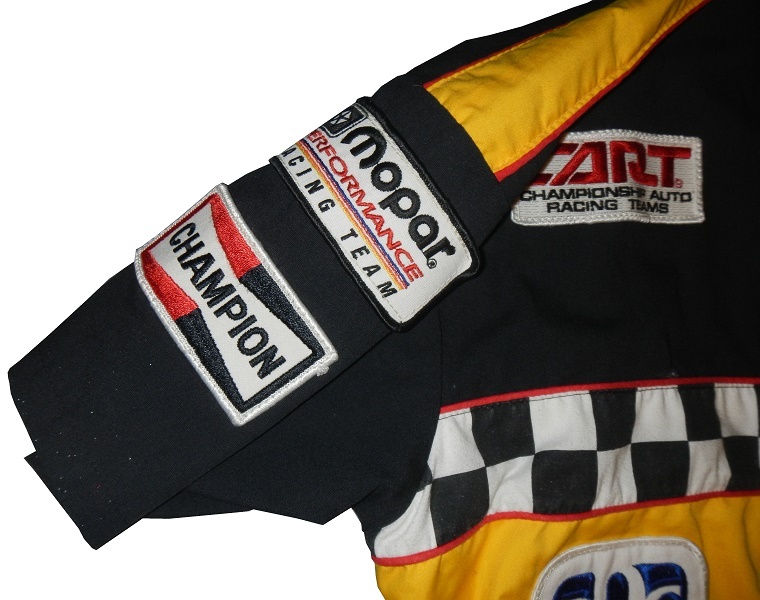 The shoulders have yellow unadorned epaulets, and short sleeves with MOPAR PERFORMANCE RACING TEAM and CHAMPION SPARK PLUG patches on the right sleeve, and VALVOLINE RACING and HOLLEY patches on the left sleeve. 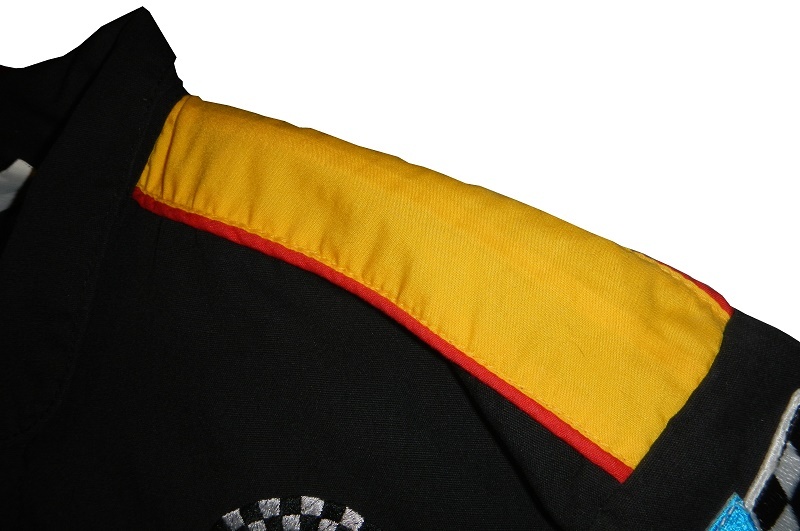 The back of the suit has a giant RACE ROCK RACE TEAM logo embroidered into it. Other than that, there are no designs present at all. 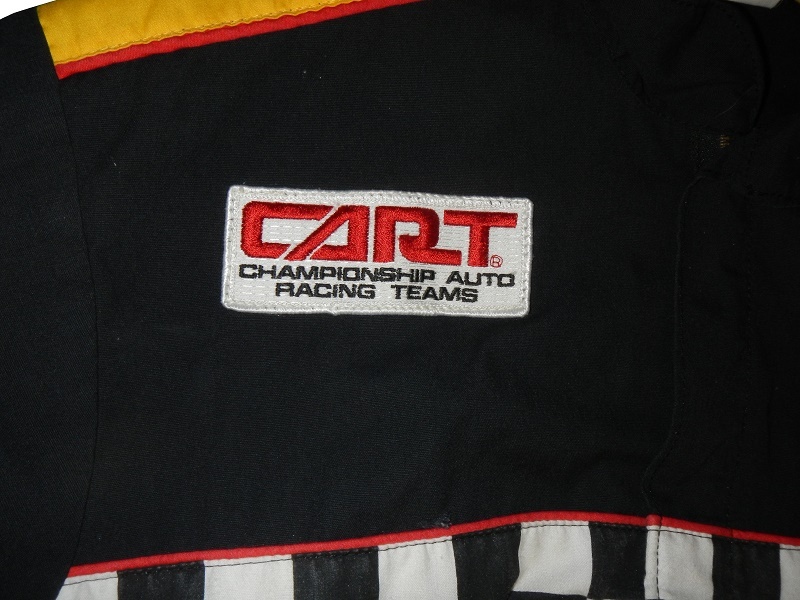 While racing has been used as a promotional tools for decades, the innovation of the driver suit as a promotional tool is something that has taken the racing world by storm. 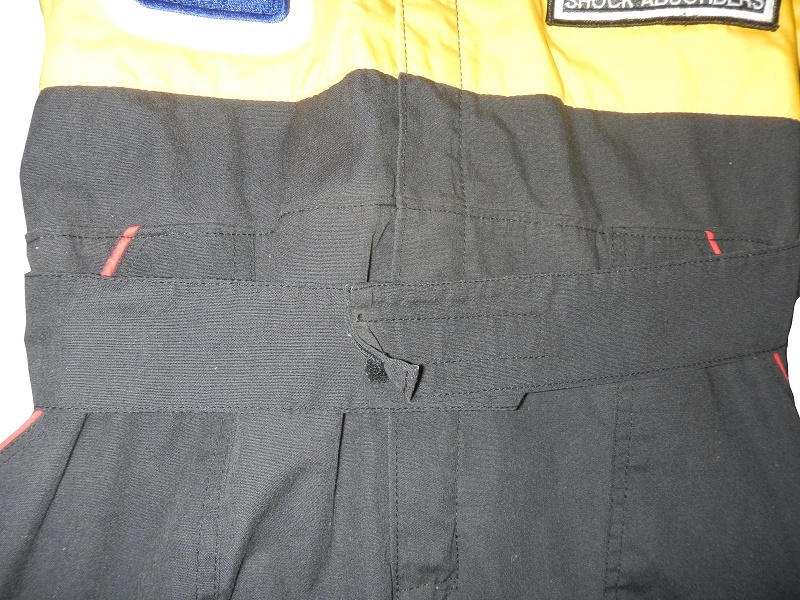 Hell, you wouldn’t be reading this if you didn’t find racing suit design interesting, and I wouldn’t be writing it. Next week, we will look at the signature of an innovator who created a product known throughout the world, and revolutionized a whole industry.